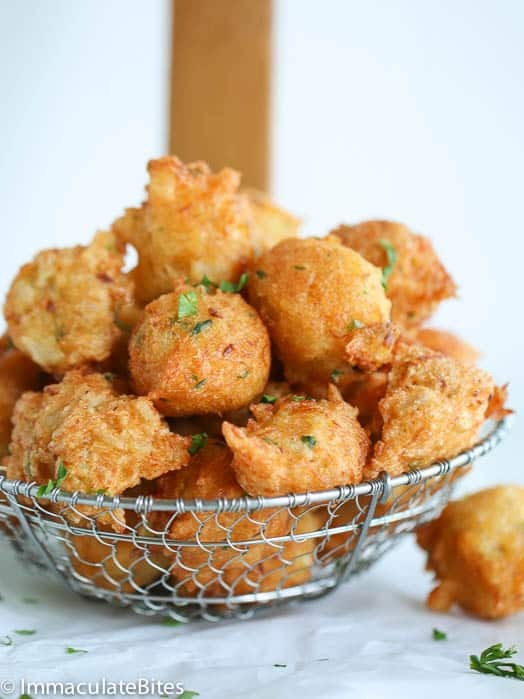 Spiced Jamaican Saltfish fritters – Crispy on the outside and soft on the inside. A tastebud sensation! 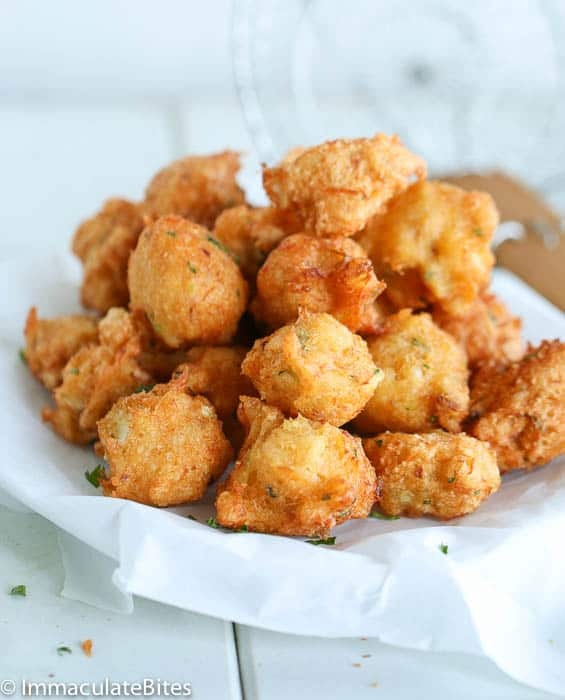 I liked to think of these salt fish fritters as your ticket to a Caribbean culinary vacation, without the high price of a plane ticket or hotel room. 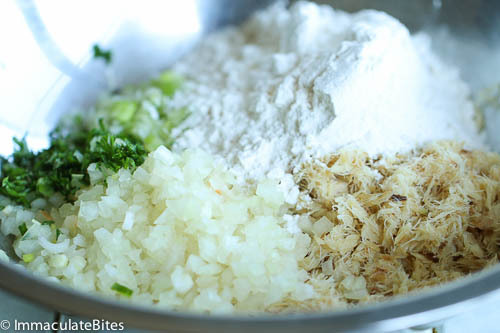 Can this Jamaican salt fish fritters really make you get a taste of the Caribbean? Absolutely. 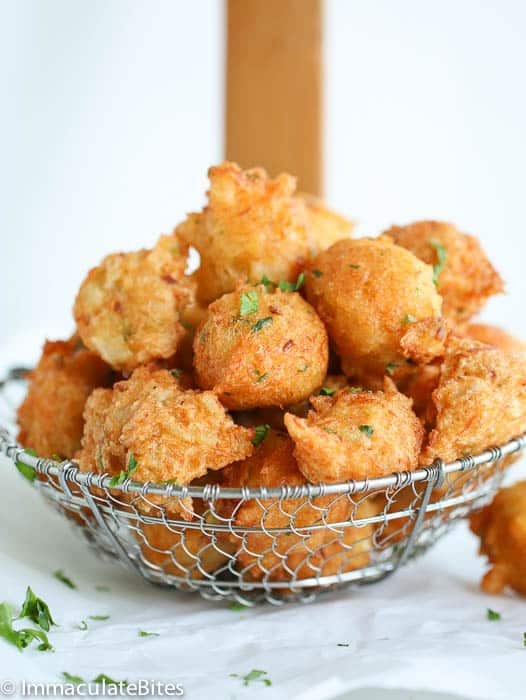 Whether you are from the Caribbean Island or trying to enjoy something different, these Jamaican saltfish fritters would definitely appeal to you. Fresh from the fryer and paired with pepper sauce and you are one happy camper. Dry Salted codfish is cod fish that have been preserved by drying after salting. 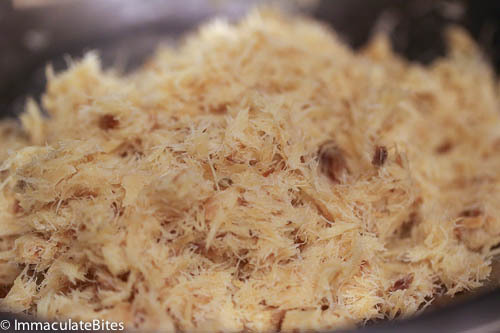 Without the salt, it is most often referred to as stockfish. (A very popular and expensive dried fish used in African cooking). In Italy it is known as baccala and the Portuguese call it bacalhau. No matter what the name, it is dried Atlantic cod. To make this fish edible, it is important that you soak the fish in water for about 1-3 days to get rid of the salt – if not you would have wasted an expensive fish. This is not a spur of the moment fritters, unless you get your cod fish from a seller that sells it frozen and it has been desalted for you. Ok, I know you are wondering why go through all this trouble to use salted codfish, can’t you just use regular white flesh fish. Well, it is the same as comparing prosciutto to ham. Why use prosciutto when you can just use ham. It is all about the flavor- nothing compares. You may serve it with this pepper sauce. If you love this sailfish then try this salt fish and bake featured here. Whisk until ingredients have been blended. Then add milk gradually starting from about 1/3 cup until desired thickness. Heat oil to 350 degrees in a skillet or saucepan. You may also use the oil test by dropping a 1-inch square of bread into the oil. If it takes 60 seconds to brown, then the oil is at around 350 degrees. Carefully place spoonfuls of the batter into the hot oil and fry for 3-4- minutes, or until the fritters are crisp and golden-brown (you may need to do this in batches). Remove from the pan with a slotted spoon and set aside. Awesome, so happy to hear it worked out well for you. Hi Joe! It’s using serve with dipping sauce . When entertaining I serve with two dipping sauces – remoulade and hot pepper sauce. i am sure that some of your recipes come from Grenada as well, not just Jamaica as I am sure that Jamaica is not the only Caribbean island in the west indies. Hi, I want to make these for a Christmas Eve party, I live 350 miles away from where the party is can I freeze and reheat when I get there? Hi there ! You sure can. Make it ,let it cool. Freeze and reheat right before serving . How did you get them so perfect. Did you use a icecream scoop? I made some this morning from my Grandmother’s recipe which is pretty close to yours but for her, you use a little of this and a little of that. I made 3 pounds for my Godson’s HS graduation party. I sure hope they are enjoyed. Love your recipe and will try it soon. Just need to know how to get them in bite size perfect form like yours. Thanks for sharing! I used my hands(check it out here (https://www.africanbites.com/puff-puff/) to get it to that shape . It’s a bit of practice but you can do it. An ice cream scoop would do the job too. Big Congratulation on your Godson’s graduation!!!! 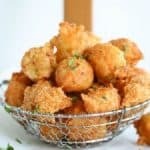 hi i have been eating and making salt fish fritters nearly all my life no two recipes are the same, it seems every island in the west indies very, then i stumbled upon yours and ive got to say YES yours is the best, last time i made them there was a batch of 75 for my son wife and my self, well it worked out 2 for him two for her and the rest for me, if only. 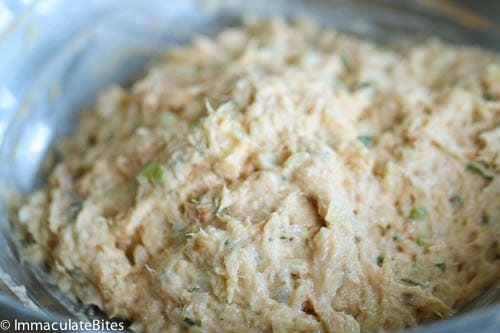 well its saturday night and just finished making another batch i will now leave the mix over night and after church in the morning, salt fish fritters for breakfast,cant wait.. Thank you so much David! That is such a sweet thing to say! So happy to hear you enjoyed this recipe! These fritters were so yummylicious!!! I soaked the salt fish for about 8 hours and boiled it for about 15 minutes. They had the perfect amount of salt. Thank you!!! Hi! I plan to make these soon and i just wondered how many individual fritters this recipe makes? Hi Laura! It makes about 15 depending on the size. Hi, I tried these yesterday. The recipe was super easy and delicious. Thank you. These look delicious, pop in your mouth! 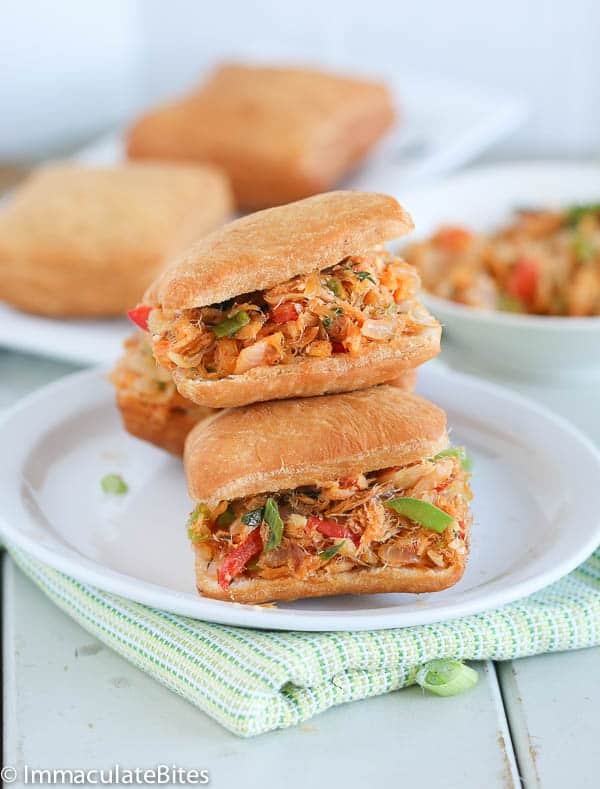 Can’t wait to pair these with some of the other Caribbean food recipes I’m finding! Thanks for the feedback Maria! C’ommon woman! 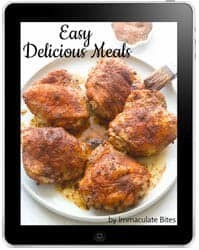 All these recipes? C’ommon!!! To say They’re great is an understatemen. I can’t comment on all the recipes but, you got yourself a new fan& follower, I’m in love with most of your recipes,great work sis, Kudos! My parents boil the fish to get the excess salt out. You can do this if you don’t want to wait over night or days and it only takes about 20-30 mins to boil. The longer you leave it the more the salt is remove, sometime if its still to salty you may have to change the water once an boil again for about 5-10more mins. I absolutely love this hors d’oeuvres mix mayo and horse radish together for a dip. 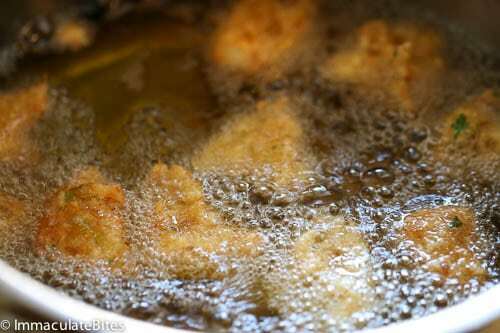 Jamaican food is tasty and flavorful, just as these fritters look on the photo! White fish tastes so much better fried, too! Saving the recipe and will try them soon! Mira, let me know how it works for you! Hi, I just finished using ur recipes it came out good an nice I had want to show u a pic of wa u make me do but don’t Kno how to send it to u but practice makes perfect an I did a great job for my first time thank u so much…. I grew up in the Caribbean and ate these fritters all the time. 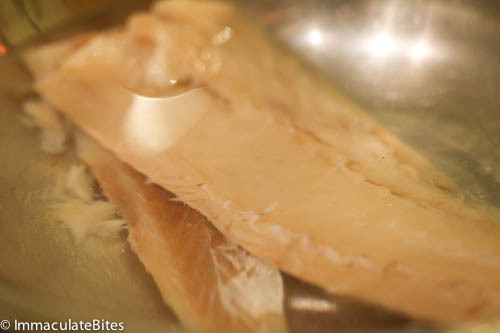 The cod is usually soaked overnight, so that there’s still a little saltiness to it and no additional salt is needed. This is pretty much the same recipe my mother used. Brings back memories. Thank you! Vee, thanks for stopping by! I seriously can’t stop eating until I finish all of them! 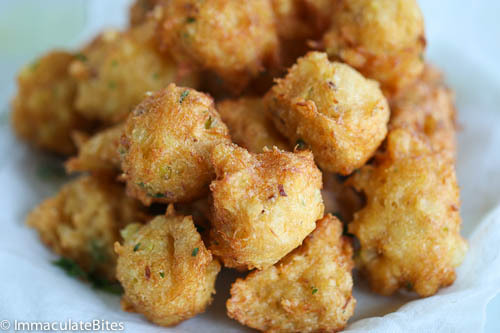 These fish bites look droolworthy! Julie ,they sure taste even better. I have never had little fritters like these before! They look and sound delicious and are definitely something that I need to recreate asap! You should thalia- let me know how it works for you! I prepared these last night && they were a BIG Hit! I’ve been cooking since I was 9 & I can’t say I remember a spice called “smoked paprika” that said, thank you for that introduction. ..Amazing! Yay!! !So happy to hear you like smoked paprika. Although it’s got me in trouble a few times,it’s a spice that I really like and adds flavor to most recipes.Just can’t help but use it. It’s super early where I am so not sure if I’m missing it in the instructions – is it 1/2 lb of salted fish? Can’t see it in the ingredients. These little bombs of deep fried goodness are right up my alley. Being of Japanese background, I’m used to fish and seafood in all sorts of preserved forms. Dried salted fish is DELICIOUS. 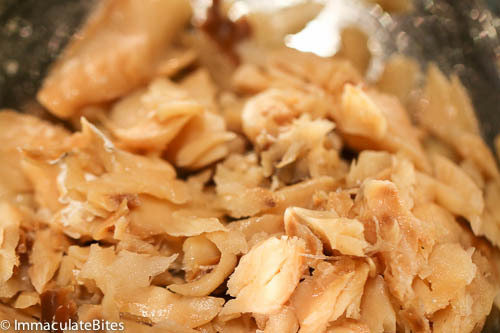 In Japan little dried fish, like white bait, are served as snacks instead of peanuts at bars! I love, love, LOVE this! And they come out so round? So the batter is thick enough so if you drop spoonfuls into the oil they hold their shape well? Nagi, it is not you ..it is me- thanks for pointing that out.